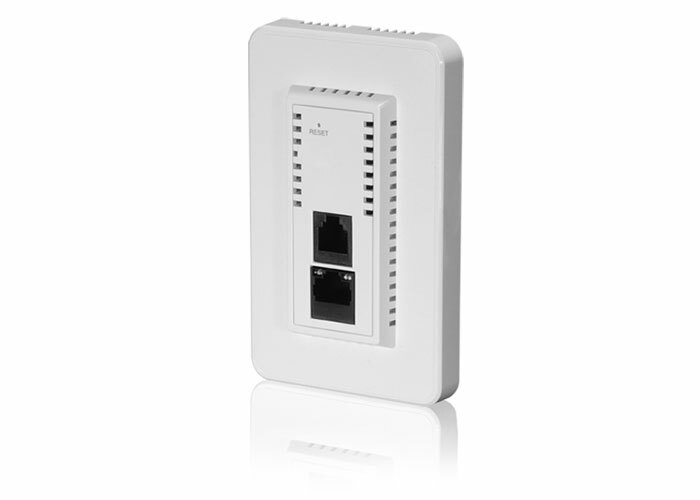 The WAP-EN1200E In-Wall Wireless Access Point is a Wireless solution that is ideal for new and retrofit installations. 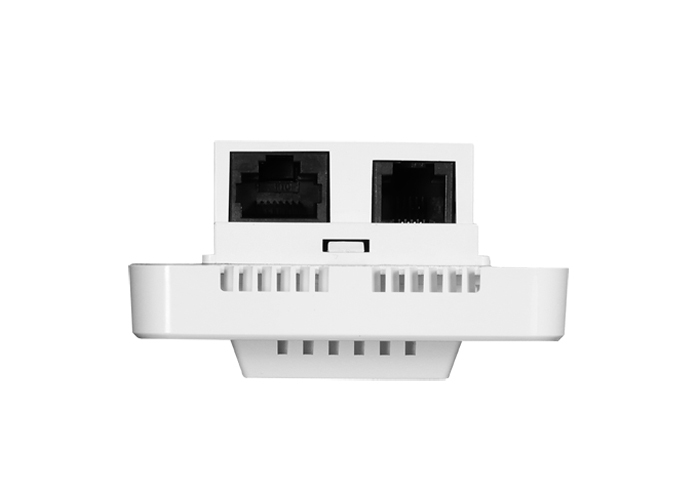 The WAP-EN1200E converts an Ethernet wall jack into a dual-band 802.11ac Access Point. With standard Ethernet wall jacks already installed, there is no need for extra time and cost to deploy a Wireless network. Designed specifically for high-density per-room WiFi applications such as hotel conference rooms, class rooms, offices, and more. Designed for neighbor-friendly Wireless coverage with an appropriate 10mW powered Wireless. This avoids the clashing of Wireless signals which can diminish Wireless performance. Designed for High Density BYOE Usage Ideal for crowded environments and BYOE (Bring Your Own Everything) workplace WiFi connection. Multiple SSIDs for Security Management Supports up to 32 SSIDs ideal for multiple departments, user groups, customers or guests. Fast Roaming Roam smoothly between AP’s without lag or interruption, ensuring top performance for video and voice streaming applications. Built-In RADIUS Server With management for up to 256 user accounts. Central Management Comtrend’s Network Management Suite (NMS) for easy and intuitive web-based central management that supports AP array architecture. Easy Installation In-wall design with easy installation kit. Supports IEEE 802.3af PoE for installations where local electric power is not convenient. Note: Specifications and appearance are subject to change without notice.